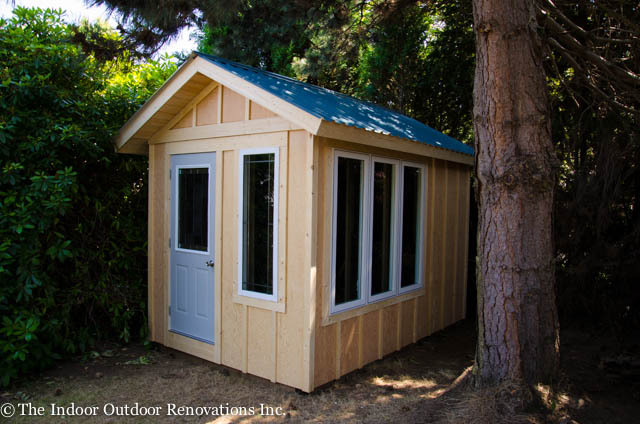 The client wanted this shed to serve two distinct purposes. The shed needed to be both a playhouse and bike shed. To accomplish this we divided the shed into sections, with separate doors for each section. The bike storage area is 4 x 8 and has it’s own side entrance. The playhouse section is 8×8 and borders the sides with the windows and the door with a stained glass insert. 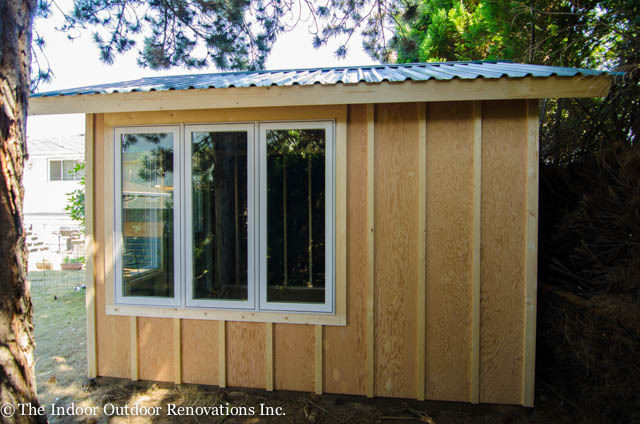 This shed, like most of our sheds, has a metal roof and board and batten siding. The doors are exterior grade out swing doors. 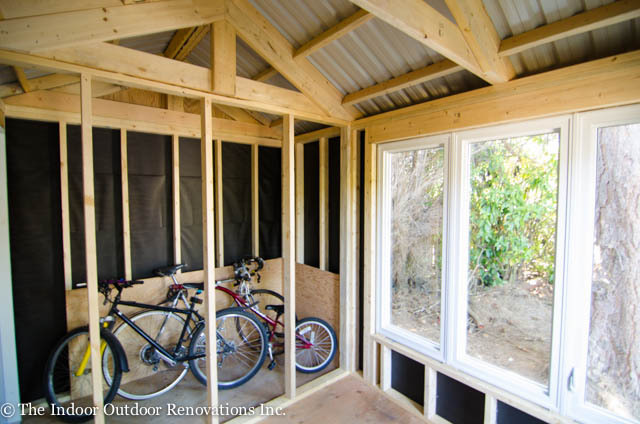 The fact that the door swings out instead of in allows the client to get the maximum use of the space inside the sheds two sections.